Also called apio or celeriac, good quality celery root will be very firm with light brown skin. It can be eaten raw, cooked, soups, stews and salads. 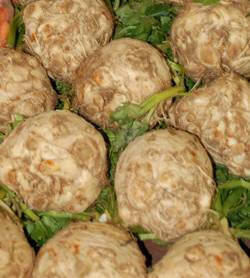 Celery root is generally available November to April in California.